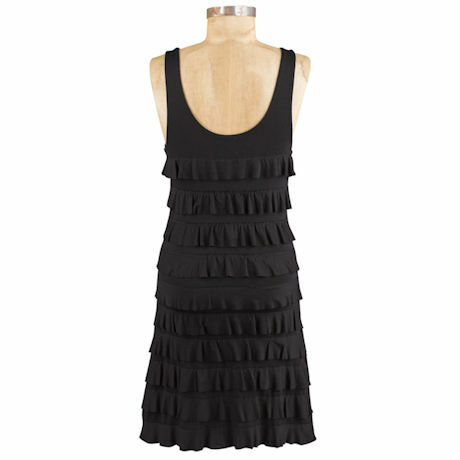 Ruffles, ruffles, and more ruffles. Oh, the fun you'll have in this fabulous little black dress, thanks to its comfortable design and flirty touches. 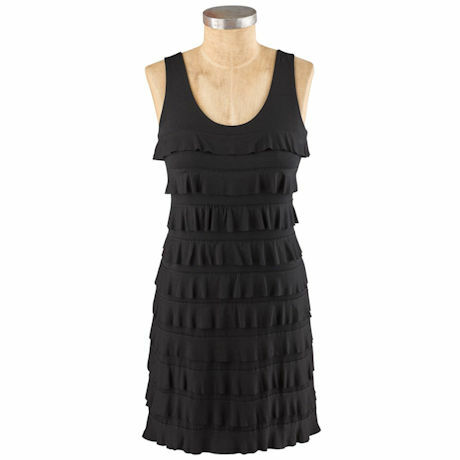 Sleeveless tank top; dress hits just above the knee. Hand wash. 95% rayon/5% spandex. Imported. S(6-8), M(10-12), L(14-16), XL(18), 1X(18W-20W), 2X(22W-24W), 3X(26W); 36"L.